A bit of back story for this Eulogy Post, now that the time has finally come to put it to the presses: It is an account I started preparing in 2008 (!) after moving back home, post-divorce, at the beginning stages of my mother’s vascular dementia, a diagnosis which had not yet dawned upon either one of us. In retrospect, having seen all the stages through, this one was the most difficult for me. I can’t imagine what any of this was like for her. Living there, alone with her again, for those four years was such a confusing time for us both, not knowing what was happening…Clueless, frustrated, slowly unfolding, fear, anger, denial, sorrow…My heart goes out to all those individuals and their family, friends and caregivers who are confronted with a such a circumstance. Moving back into our family home was the ultimate déjà Vu. 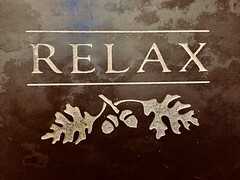 While Mom still had some of her wits about her, even though to her credit she had been proactive years prior in the basics of prep, I realized I must begin helping her with the last bits of organizing her affairs, finalizing her burial wishes and formal funeral (in which she was no longer interested in carrying out…thus this post). In doing so, I became inspired to get a head start on her life story, her eulogy. I figured if I waited until the time came it would be too overwhelming a task, along with all the other, and I was right. I produced three written versions: short, medium, and long. These were based on my memory of things she’d said or that we’d experienced together, as well as old notes and photo albums. For the record, Mom had nothing to do with the details of the retelling here, although I did read her the three versions back when she was still lucid. She didn’t see the need to bore people and thus chose the shortest one. (I, of course, wanted the long version and imagine, this one is not it! Lol). I honored her wishes and chose the shortest text, though I have indeed made it longer in a different way as I acquired a computer and iPhone..by my addition of photos and video. (In fact, much of what I had written, was later captured on the video below. 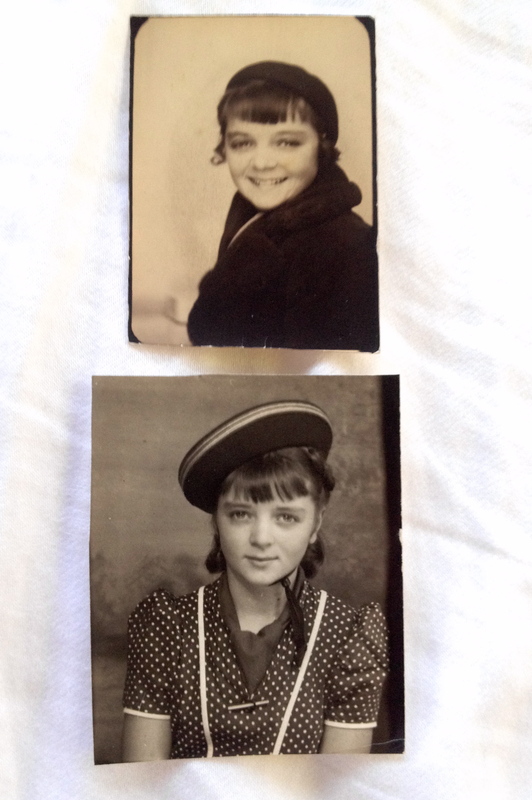 I’ve kept both)….I apologize for my lack of photo scanning capabilities. Appalling. Without hearing her stories in such a long while, I was on the verge of forgetting as well. Her life (and our family’s) was absolutely no picnic, but though we never had anything close to an ‘ideal’ or ‘functional’ family, she (and we) persevered. Like a lot of things in life, we each are given opportunities to heal, to learn, to be grateful, to grow in wisdom as we ourselves grow older. When I began this post SO much more lay ahead, thankfully to which I had no clue. She never saw this finished product, but nonetheless I think it’s satisfied us both. At least I did my act of leaving it to posterity, as the Betty and Mike bloodline ends with me. I was looking forward to sharing family history with my own children but that was not in the cards. So now that I’m a Bloggie-Momma, I shall share it here for my own benefit and for anyone else who is interested in its telling. Words and photos don’t always portray the full reality of a situation. My mom would be among the first to agree that ours was not a close-knit nor a cohesive family unit, not like the one she longed for, nor the one that anyone naturally longs for. I think to each one, parent and child, a longing, a disappointment, and a sorrow over this disparity plagued us all. I think she would be proud of how we all pulled together to come to her aid at the end. I know I am. Betty was born and raised in the Midwest, during America’s Great Depression. Her paternal grandparents had emigrated there from the Alsace Loraine Valley in the French-Swiss Alps. They had two sons; the eldest was her father Ernest. Betty’s maternal grandparents were both German, they had thirteen children, the youngest of whom was her mother, Helen. By the time Helen was 16, six of her siblings had died and she was an orphan. 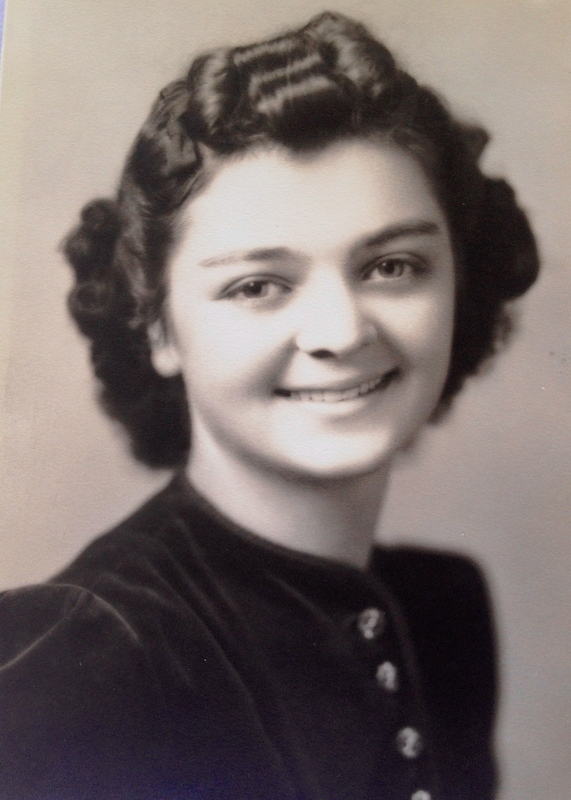 She got a job as a telephone operator, where she met an Irish Catholic woman, named Winnie Hogan, who was also single but had two orphaned nephews who were also living with her. Despite having her own orphaned nephews to care for, Winnie generously offered her home to Helen, who was never very close to her own siblings. Needless to say, Winnie and she became the best of lifelong friends, and her sons were smitten but sworn off. I’m not sure how they met, but Helen later became smitten with a fellow of her own named Ernest. They were married in 1915, to the chagrin of his parents. Ernest and Helen went on to have four children, all born at home: Arthur, Leona, Emil and Betty. Ernest’s father ran a saloon, and owned a corner drugstore with apartments above, and two houses to either side. He wanted Ernest to become a pharmacist, which he dutifully did, trying it out for a few years before turning to his real love, hog-farming! Therefore Ernest and his family had to move out to the country, to his father’s forty-acre farm on which they lived, raised crops and animals. Tragically, when she was just 3 years old, Betty’s father died at age 39 after a short illness. 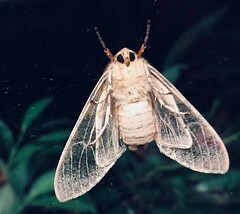 Her 14-year-old brother Emil died shortly after that of an infected mosquito bite, and then her grandfather died just nine months after that. Her brave and persevering mother made ends meet by serving as a telephone operator, a caterer, trading goods and services with neighbors and renting out the other homes on the property. After the Grandfather’s death, Betty’s Grandmother (who spoke five languages, english not being one of them) unwittingly signed away all the other real estate holdings except for the farm, which apparently no one could take because Betty was still a minor. Betty spent a lot of time on her own once Emil died, and her elder siblings had married and left home. These were some of her saddest times. Living so far out in the country made it especially lonely. Betty often spoke fondly of their huge old farmhouse with lots of nooks and crannies in which to play and hide. Even so, it was brutally cold and drafty in the harsh Nebraska winters. She remembered scurrying from kitchen to upstairs bathroom, the only two heated rooms in the house, darting from bath to bed she shared with her sister. A flying leap into bed would land her comfortably stationed deep into featherbeddery comfort…except for one unfortunate incident that sent them and the whole kittencaboodle crashing to the floor with a huge, startling thud. No more antics such as that! Then it was early to rise, feeding the chickens and cracking the ice in their water troughs. There was the frightening time when she accidentally set fire to the attic while playing with her new toy oven, dramatically setting the sky ablaze for folks to see for miles around. They lost the entire top floor of the attic and playroom. She lived with a lot of sadness and guilt after that tragedy. Her best earlier memories were of playing in the barn, making tunnels in the hay, riding the pony. The pony would purposely go under the lowest branch to knock the rider off its back. 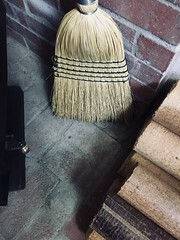 Sadly, a pack of wild dogs eventually killed the pony and Helen frugally had a rug made of the carcass (a rug upon which no one would set foot, so it was draped over the cedar chest). Other special moments included being driven around the fields by her brother Art on a mattress attached to a car he was building, and him teaching her to drive in that same fashion when she was 14; of spending time in her grandmother’s parlor looking at the pretty untouchable treasures in the china cabinet; and of her grandfather taking her out in his blue Buick on Saturdays for a 25 cent double-feature movie and ice cream cone. She learned to ballroom-style dance, with her mother as her partner, due to the lack of menfolk. (She and I repeated that pattern, later in her life and early in mine). Holidays were fondly spent with Winnie Hogan and her family. An especially exciting memory was when her mother drove them in their Model A Ford up to the World’s Fair in Chicago in 1933, when she was 8. Betty wandered off while her mom Helen was talking with someone. It was at night, they couldn’t see one another. When her Mom looked again, Betty was gone, drawn in by the fireworks display. Someone saw Betty wandering around and asked her if she was lost. She answered “No, but my Mom is”! So she was taken to the lost and found, where she was eventually reunited with her mother. Her Mom asked when she got there, “Weren’t you scared?”. “No”, she replied, “I knew you’d find me before going home”. Obviously the Fair made a big impression on her. Later when she was a teen, Betty enjoyed working behind the counter in her brother Art’s bowling alley. When she was 19 she met Mike Begley. He was 20. She was with Leona’s sister-in-law, Bonnie, when their car broke down and Mike and a couple of his brothers, Al and Joe, came walking by. The girls asked the boys if they could help them with their car troubles, but never having owned a car the boys said “no”. Al and Joe went on but Mike wanted to help so he stayed behind. He asked the girls if they wanted to join in a ‘company sing’ being held in nearby Elmwood Park, to which Betty agreed. Bonnie called a friend who came and got her with the idea of picking Betty up later at the same spot. After that night, Mike began visiting Betty at her home in the country. This required a long bus ride and subsequent transfer to a hitchhiking on some kid’s bike. After the visit, he would walk back to the Car Line, about two miles, for a ride home. That was how he courted her. Even though relations were tense toward the German Protestant Gall family by the Irish Catholic Begleys, Betty and Mike married six months later, two days after his 21st birthday, by a Methodist minister, in a church attended only by Betty’s mom Helen, brother Art and sister Leona. The couple immediately boarded the next train, as Mike had worked on the Western Pacific Railway after he served time in WWII, and had seen the promised land of California. They returned to Omaha several months later because Betty was so homesick. After spending some time there, they decided it was best to head back to California. This time they packed all their belongings into a modern covered wagon (a.k.a., a converted cattle truck), with only a few dollars in their pockets and several breakdowns along the way. One in which a Good Samaritan appeared out nowhere to give them the push they needed and a money wire by Helen to get them back on track. Once in California they made a life for themselves in the Bay Area. The first stop was in Oakland, then San Francisco where Mike attended the University of San Francisco on the G.I. Bill. His goal was to become a teacher, and Betty (ironically, though not surprisingly) became a baptized Catholic. Mike worked numerous small jobs to support them but preferred Betty not work, so as not to get used to the extra income, as they wanted to start a family. Betty, however, did work a short time at Proctor and Gamble before they adopted their first three children, Michael, then Dennis, then Fran, all within a few short years of one another. During this time, Mike’s sister, Mary, followed her big brother’s lead and joined them in San Francisco. She lived with them in their apartment for a while before meeting her future husband, at a church dance. Mike’s brother Joe, and later his wife Marion, always maintained a special and supportive friendship with all of them. In the hub bub, Betty and her mother faithfully exchanged letters once a week. Mike and Betty made several trips cross-country to Omaha with three babes in cloth diapers, and continued to do so throughout the years. Betty said that some of her fondest adult memories were when her three older children were young. They did their share of moving several times before they ended up in Santa Rosa in 1962, and had Maggie four years later. The pregnancy was a surprise to all, especially to Betty who at age 39, was considered very old at that time to be having children (though today it is common place). Betty and Mike often affectionately referred to one another as “Pappy” and “Cushie”. “Cushie” was short for “Macushla”, the Gaelic word for “my darling”. Pappy was often seen giving Cushie a little love pat on the behind. The Begleys were kept busy by their involvement in religious, social and civic affairs. 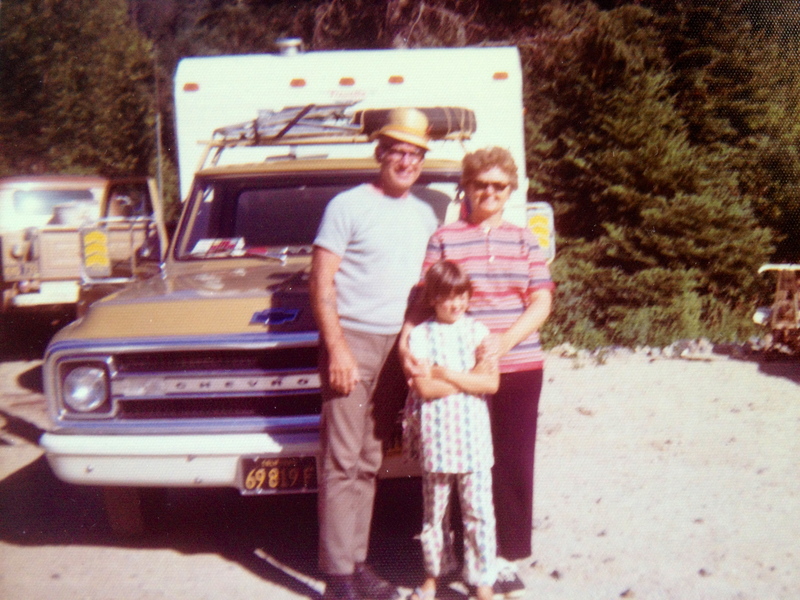 In their free time, they went to a Lot in Clear Lake which they had purchased for family camping trips. The family vacationed in other camping spots as well. The ocean was a favorite. Betty always loved music and singing. Though she never had formal lessons nor learned to read music, she got her training in high school when the choir director detected her out-of-key-ness, throwing off the whole choir she was placed between two loud 2nd Sopranos. That solved that. So anyway… Mike sweetly bought her a guitar and lessons one year as a birthday gift. She also had wanted to be a nursery school teacher and had begun taking classes at the newly built Sonoma State College nearby. Betty’s mom came out to visit every summer, until her health prevented it. Betty’s sister Leona nursed their mother until Helen’s death in 1970, at age 82. It was Betty’s personal goal make it beyond her own 82nd birthday. (Mission accomplished!). Mike was not as lucky as he was diagnosed with cancer, and thought he was cured by surgery in 1972. 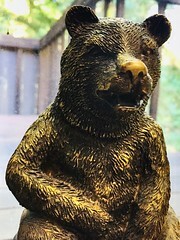 However, it recurred a year and a half later and he died in 1974 at the age of 49, after Betty had cared for him alone at home for 10 months. After Mike’s death, and 29 years of marriage, Betty was left with an 8-year-old daughter to raise and life without Mike. The older children were only in their early 20’s, but had moved out years before and begun lives of their own. It was a trying time for the entire family. Betty and Maggie barely managed to get by, and Betty continued to be a stay-at-home-mom, thanks to Mike’s Social Security, teacher’s pension, and a paid-off house. Then it was her eldest brother Art that Betty lost in 1981, followed by her sister Leona and brother-in-law Irv in 2003. During the early 1990’s the one suitor that she agreed to date, collapsed dead at her feet of a massive heart attack while they were out on a walk. She went boldly forward and made several visits over the years to visit her sons, Michael (in California) and Dennis (in Idaho). Daughter Fran was mostly local and Betty and Maggie spent many a Sunday with Fran and her family after the head of our family passed. (Our family was never to be the same, as father Mike was our glue). Meanwhile Betty continued to volunteer and involve herself in more progressive church activities. She began attending Resurrection Church and weekly prayer meetings that were held there. In fact she drove herself, then in her 50’s, Maggie, 12, and Eva, a dear friend in her 60’s, on a cross-country trip in her pickup truck and camper, complete with a very stiff clutch. They were on the road for a month, stopped all along the way at various state parks and historical sites, stopped awhile longer to visit in Omaha, final destination to attend a charismatic religious conference in Kansas City, where they met up, camped and caravanned a short time with several other families. Betty had such a good sense of direction she wouldn’t have needed a GPS, even back then. Upon return, Betty with her two friends Phyllis (Eva’s daughter) and Carol, formed a prayer team. The three of them together ministered to countless people in need, out of a room in Betty’s house. They performed this volunteer ministry for ten years. In the 1980’s due to a federal tax snafu not her fault, Betty was forced to find a job. She got the first position to which she applied, and worked for the Sonoma County Library for five years. Maggie graduated from High School, then college and finally left home. Before that though, in 1984, they both took a very fun family Caribbean cruise with Mike’s sister Mary and her family. That was just the beginning of Betty’s travels. In 1985, she went to Hawaii to stay with a friend for a month. In 1987, she went to Washington D.C. to visit her niece, Deanna and family, and then on to Florida to visit her sister Leona, husband Irv, and family. In the late 80’s she enjoyed a train trip with her granddaughter, Rebekah, up to visit ex-daughter-in-law, Janice, in Seattle. In 1988, she joined the Sonoma County Chorus and went with them to New York City. They were one of five choruses to sing with the New York Symphony at Avery Fischer Hall. She also joined St. Eugene’s Choir, and in 1989, went to Italy to tour with them and sing at the Vatican, and then on to Yugoslavia and the holy site of Medugorje. Then in 1995, it was off to Texas, in 1996 to Branson, MO., in 1996 to Mardi Gras in New Orléans, in 1998 a cruise to Ensenada, Mexico, and in 1999 a cruise to Alaska. In 2001, she (and her beau Paul, Maggie and husband Daniel), attended Leona and Irv’s 60th wedding anniversary in Florida, that was the last time they were to see one another. Also, back in 1992, Betty took a drawing class with Maggie at the Santa Rosa Junior College and proved to be quite the artiste. We always knew she had a creative side, as she made some of her own, and her children’s clothes, as well as curtains and such. 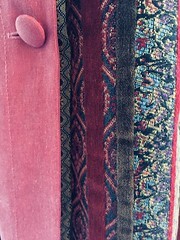 She continuously made alterations and put her own touch on things, whether it was furniture, clothing, or otherwise. For a time, she knitted, and crocheted many blankets to keep, and as gifts. She especially enjoyed making the tiny ones for the newborn babies of family and friends. 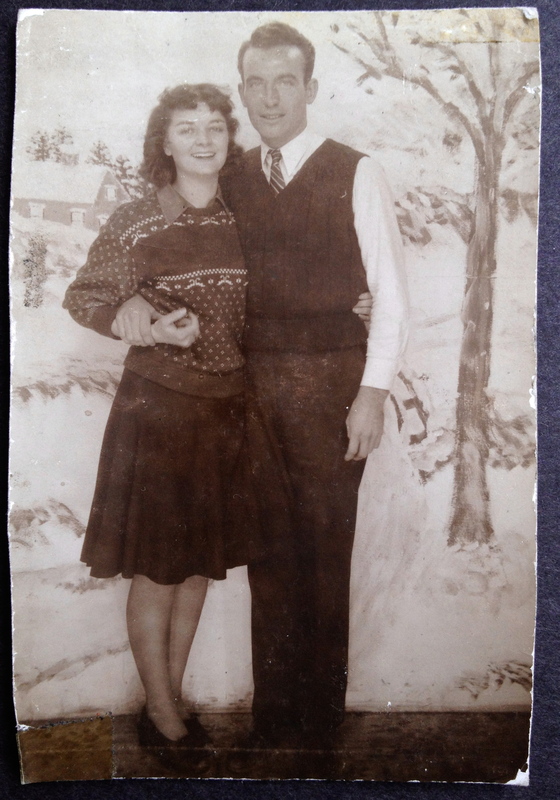 (And my Uncle Joe recently shared that she knit him a sweater when he was serving in Korea. A sweater that he didn’t take off for six cold wet months). Early on, she was also the originator of many changes at the Begley home. After all, she was the one responsible for painting the house red and the one who drew up the plans for, and built, the cabinets in the washroom and the closet in the master bedroom…After Mike’s death she made several other updates. She preferred working outside, to inside. She loved yard work and gardening. She ran a very tight, organized and efficient household. In the 1990’s, she joined the local Senior Center and enrolled in some writing classes, at which she also excelled, got published in their senior journal, was part of the Foot Lighter’s acting ensemble, and then began ballroom dancing, which was her passion. Circumstances caught up with her and Betty survived a heart attack and triple by-pass surgery in 1990, at age 65. She became a vegan, began her exercise regimen, lost about fifty pounds and managed to keep it off. She had carotid artery surgery in 1995, and angioplasty with a heart stent in 2003. She had a left knee replacement in 2005, a right knee replacement in 2006, and around that time was diagnosed with chronic leukemia. She began taking therapeutic swim classes, come snow, or freezing rain. She didn’t dwell on her ailments; she lived life fully and just kept moving. 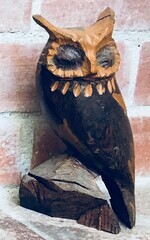 She went out once with a few fellows along the way. But, it was Paul who captured her heart at the age of 74 when he asked her to be his date at a Valentine’s dance. She always said that Paul was an answer to prayer. She had been praying, “Lord, please send me a partner, or take me home to You.” Paul appeared on the scene, not long after. They became dance partners, twice a week, and nightly dinner companions. They enjoyed several vacations together: Washington D.C., Florida, Oklahoma, Arizona, Idaho, Oregon and Los Angeles, mostly to visit Betty’s children and family, and to Paul’s family and his WWII POW Reunions as well. They also took seasonal camping trips out at Bodega Bay, about three times a year, where she kept an eye on Paul as he went in search of clams. They shared a partnership with a sense of fun, adventure, hard work, humor, and lots of energy. 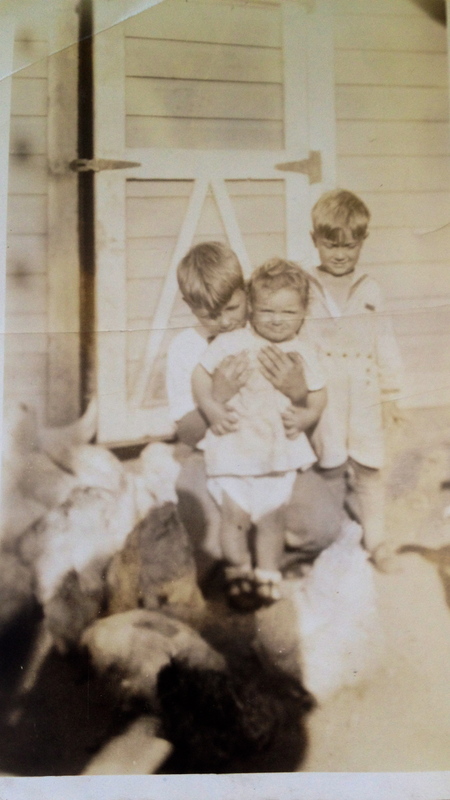 Siblings: Arthur, Emil, & Betty on their family farm among the chickens. 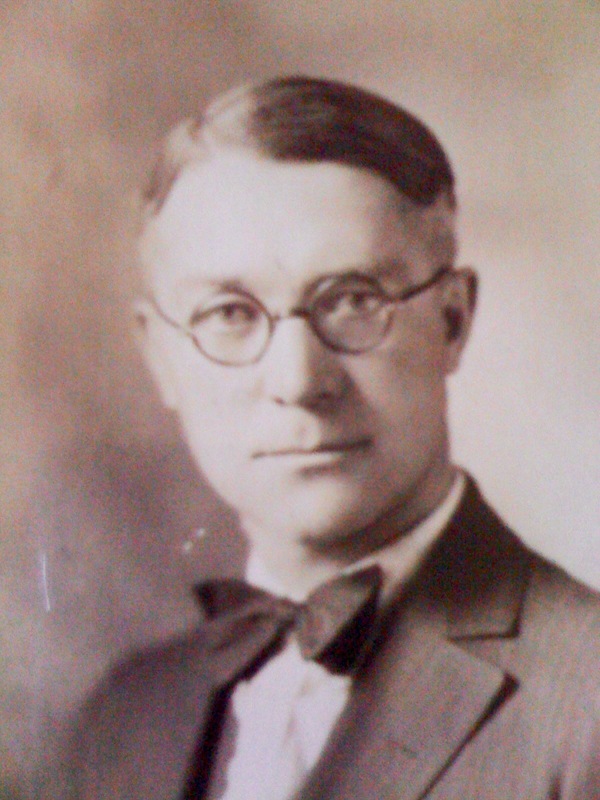 Betty’s father, Ernest, died at home after a short illness. 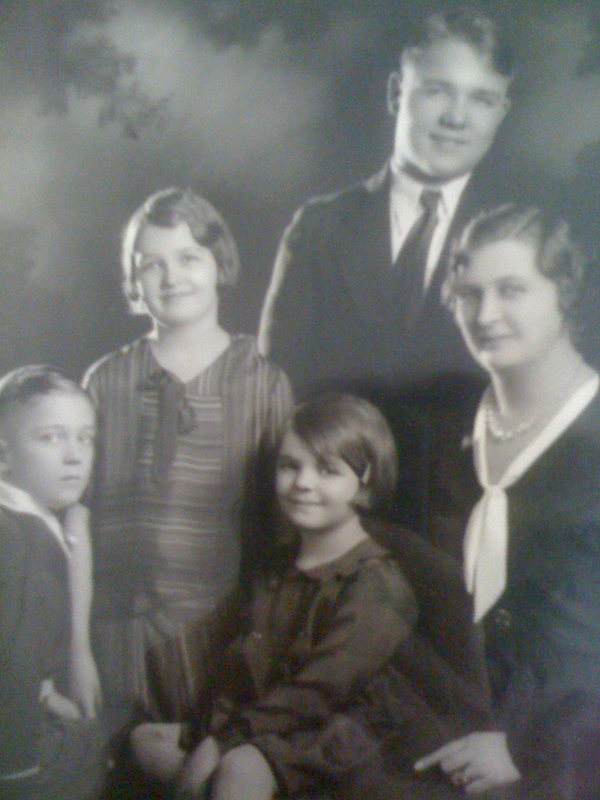 Family Portrait: Emil, Leona, Arthur, their mother Helen, & Betty front & center. 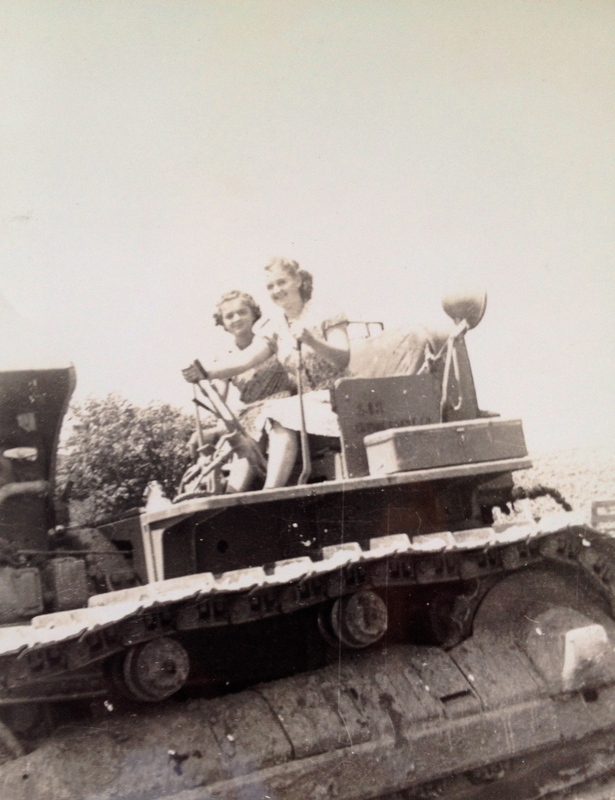 Betty & Leona…on a tank, or some serious farm equipment?! 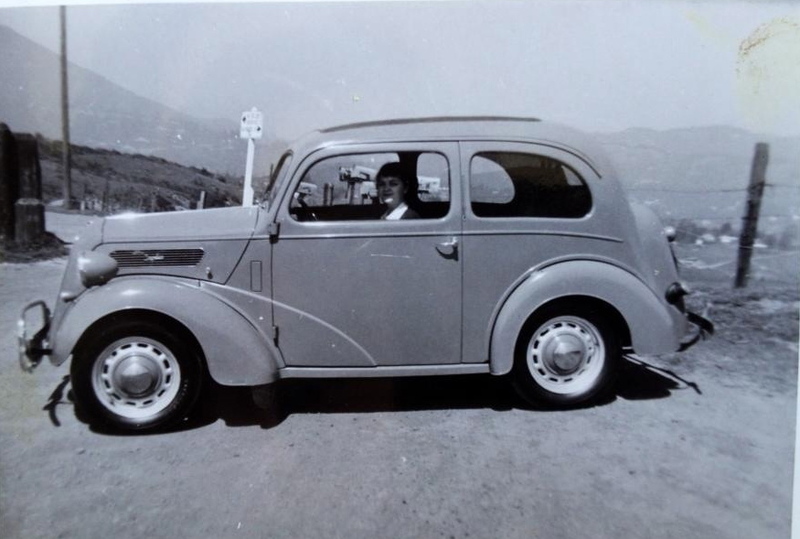 Betty – In one of their first automobiles. Newly married husband Mike, in the driver’s seat accompanied by Betty, the Shadow Photog. 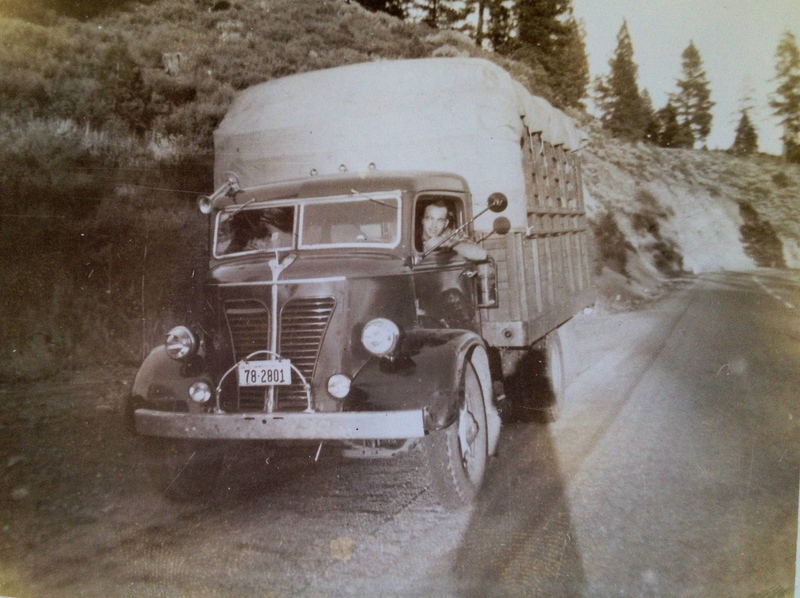 A roadside stop on their way to California in a converted cattle truck. 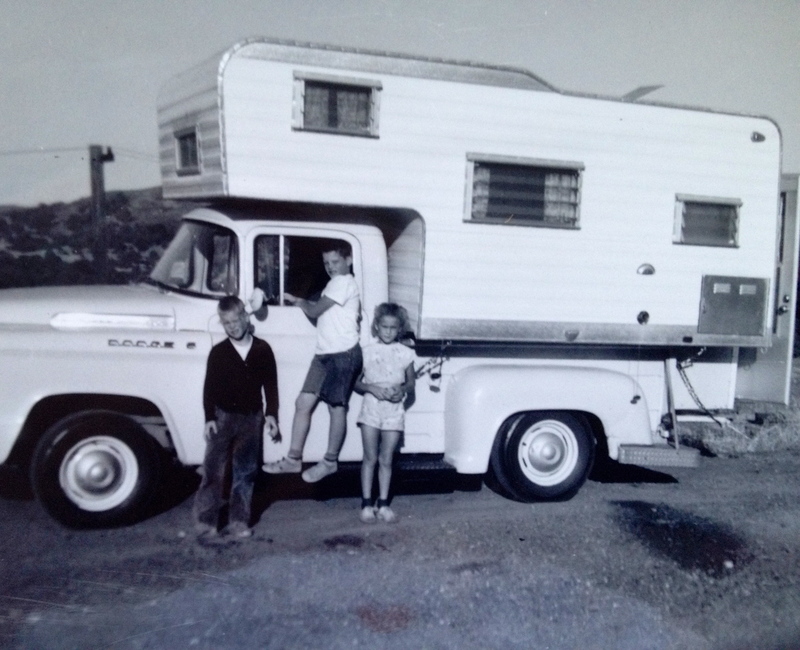 Family camping trip, with Betty & Mike’s 3 oldest kids in tow (Michael at top, Dennis & Fran). 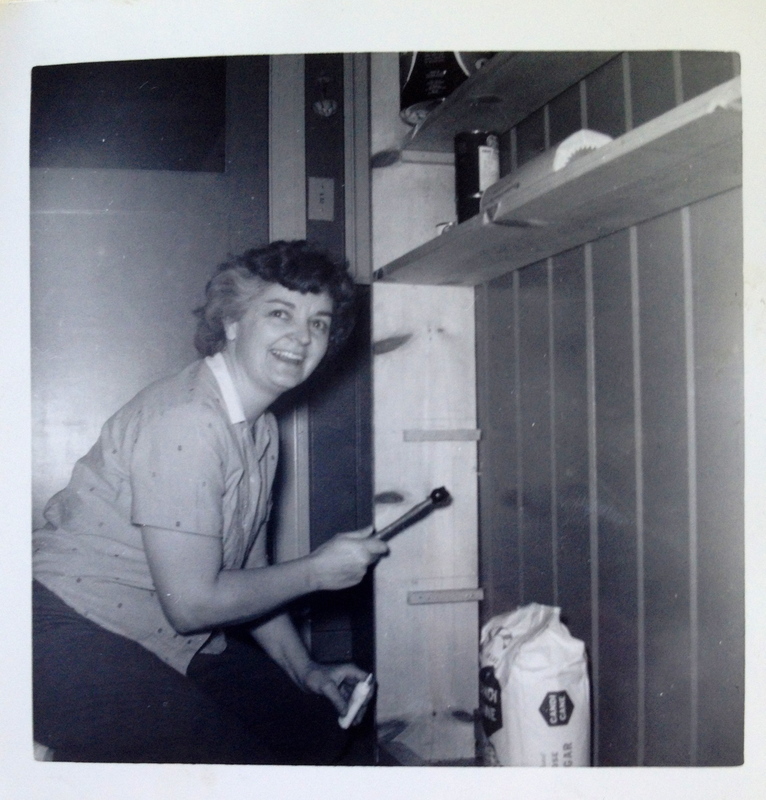 Betty the carpenter & general handy-woman, creating one of many built-ins, for organization in their small house. Betty playing her new Birthday guitar to toddler Maggie, both of which were given to her by husband Mike. Betty’s paint-by-numbers are framed on the wall behind. Family camping trip, with youngest Maggie in tow (obviously pouting about something). After her husband died, Betty fought depression, worked in the yard & napped hard. 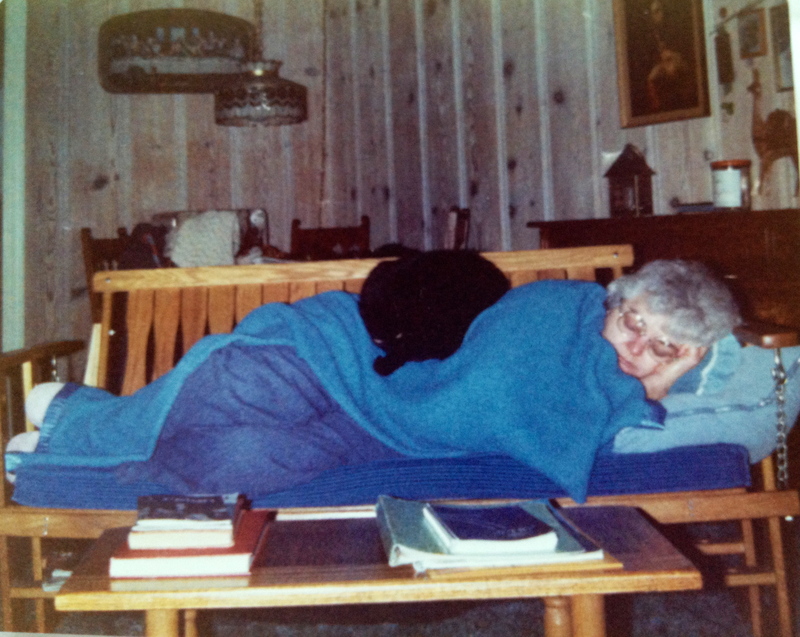 Our black mother cat, Hildegarde – a perfect fit – helped keep her warm. Betty’s Most Excellent Adventure: Here on a gondola while in Italy touring with the St. Eugene’s Church Choir. 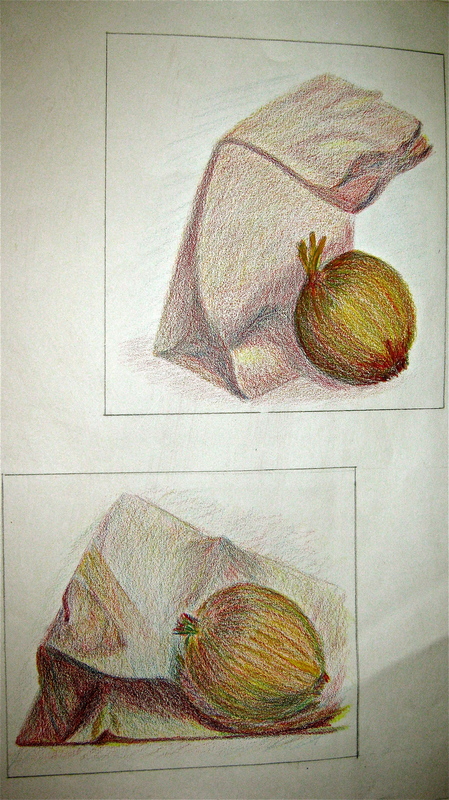 Colored pencil drawing by Betty, from SRJC art class with Maggie. 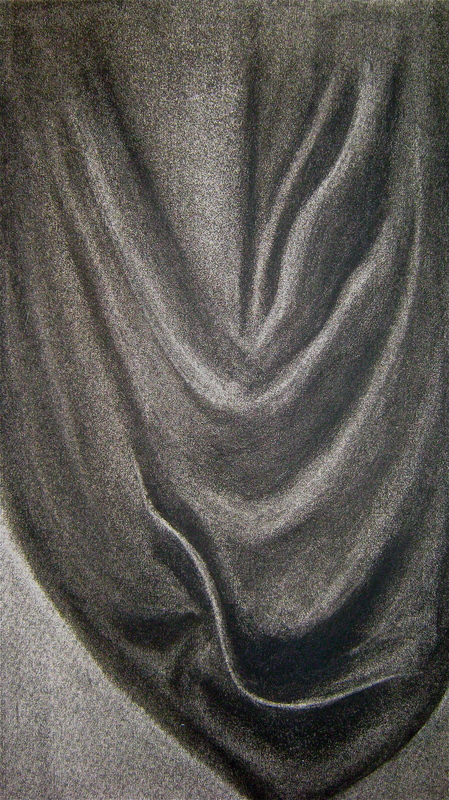 Charcoal drawing by Betty, from SRJC art class with Maggie. 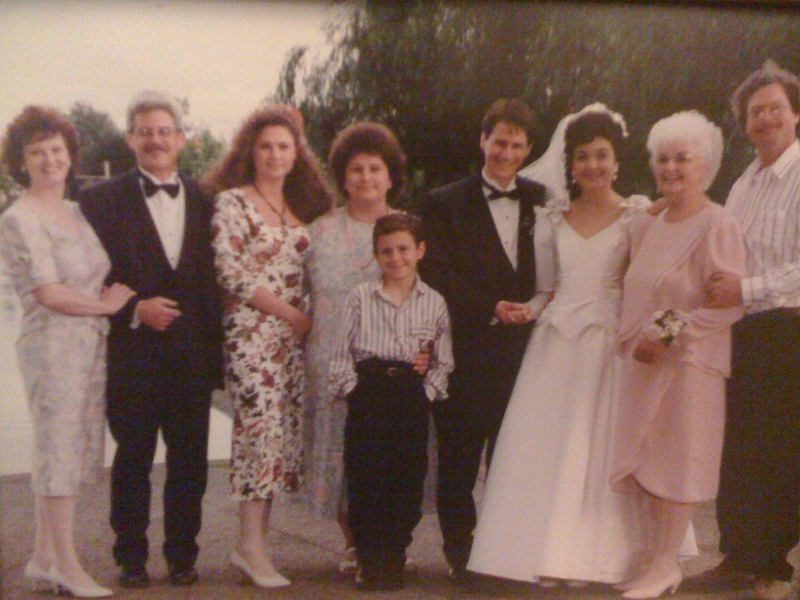 This is the only photo I have of our family all together. (Someday I’ll learn to scan photos!). From Left to Right: Daughter-in-Law Janice, Son Michael, Granddaughter Rebekah, Daughter Fran, Grandson Jesse, Son-in-Law Daniel, Daughter Maggie, Mom Betty, & Son Dennis. Daniel & Maggie have since amicably divorced. I thank he & his family for 20+ years of love & support. Sadly, both Janice & Dennis have since passed away. Five months later Betty-Mom was to lose full capability to care for herself, literally overnight. She and Paul continued to go to their weekly senior dances, but had to give it up about a year thereafter when she forgot the steps that once came to her with such natural grace and joy. It was heartbreaking, second only to being told she had to give up the independence of driving, the year previous. She never relished being pushed about in a wheelchair. Her love of the outdoors, surveying the neighbors’ yards and goings-on trumped that, at least for a while. Though Mom initially resisted, her daughters, grand-daughter, and son stepped forward to oversee her care with the help of numerous helpers. Eventually she acquiesced to the inevitable full-time tending and supervision that would be in place till the end. Betty in Summer, 2012. With Maggie. One month after losing full capacity for self-care. Cousins Maureen & Kelly came a’ calling & took this photo. During my intense 2 month stint, we had other special visitors: Uncle Joe, family friends of mine, & neighbors to help us adjust, provide food & needed diversion. And of course my father-figure Paul, always Paul. I thank them each & all so much for their support. It would be two more years before she would make her way down that path for the last time. She had wanted to live in her ‘home sweet home’ for as long as possible and the teamwork of many allowed us to do so. As for all the material ‘stuff’, my sister and I did our first clean sweep in 2014. What a lot a house and home does hold. Fifty years are a lot of time to gather and stash! 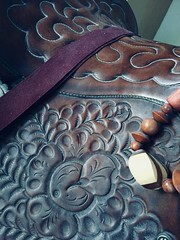 This second time round, I could not be there for the final dismantling of the home, my safe haven, nor the relocation. My brother and sister saw to all that, and the resettling into her new space, thank GOD, as I know it was so hard on them too. July, 2016. Goodbye dear home of 50 years, parting is such sweet sorrow. In May 2016, strangely enough on Mother’s Day weekend, Betty-Mom left her home for good. We had to sell in order to continue to pay her way…Thank goodness her home continued to provide for her till her death. 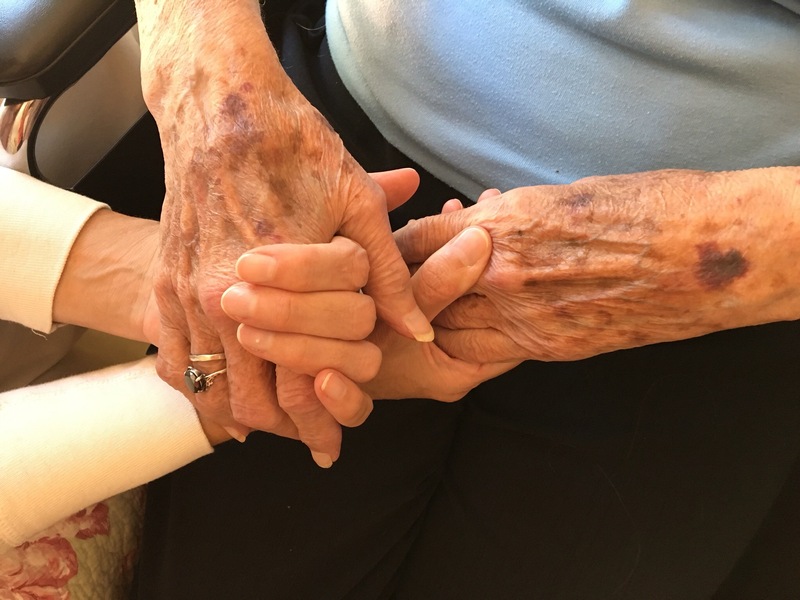 Our friend Phyllis, found a place swiftly and miraculously through her Catholic connections and was welcomed by Josephine and staff at Chanate Care Home, a facility with five other tenants. The timing and the placement were meant to be. I sincerely wonder how Mom felt. She seemed to adjust quite well, but one never really knows what goes on in such a mind. I was also relieved to hear that she made a close friendship there, and her housemates enjoyed her smile and contagious laugh when it arose…though she still kept her edge. Never a raucous snore nor piercing snarl was left undone. I can see it and hear it all now. Lol. Aw, her own feisty person couldn’t be subdued. A perfect end to any soul’s story. July, 2016, Betty & Maggie. Hands with Heart. I’d like to take this opportunity to express extreme gratitude: To Phyllis, Executor and devoted lifelong friend (and her husband John) for seeing us through to the end; to our neighbors Michelle (R.I.P.) and Craig who were instrumental in this process; to my father’s brother, Joe (himself a Veteran), who alerted me and encouraged pursuit of financial help for Mom, which proved critical to her as a widow of a Veteran (WWII); to my rellies, especially my cousin Kelly who’s stood by during my personal journey; to Paul my mother’s last great love, a source of dependability and strength to us both, a beloved father-figure to me (Mom died the day before what would’ve been the 18th anniversary of their first date, on Valentine’s Day); to Richard Metz for his generous care and support to myself (and family) when I didn’t fare so well through all of this; and to ALL the neighbors, friends, doctors, numerous caregivers and Hospice workers, that were part of Betty-Mom’s final chapter, and mine with her. Our family could NOT have done it without you. In the audio link below you’ll hear her singing, at age 65, accompanied on piano by our dear friend, Carol. It’s a simple recording taped in our living room. 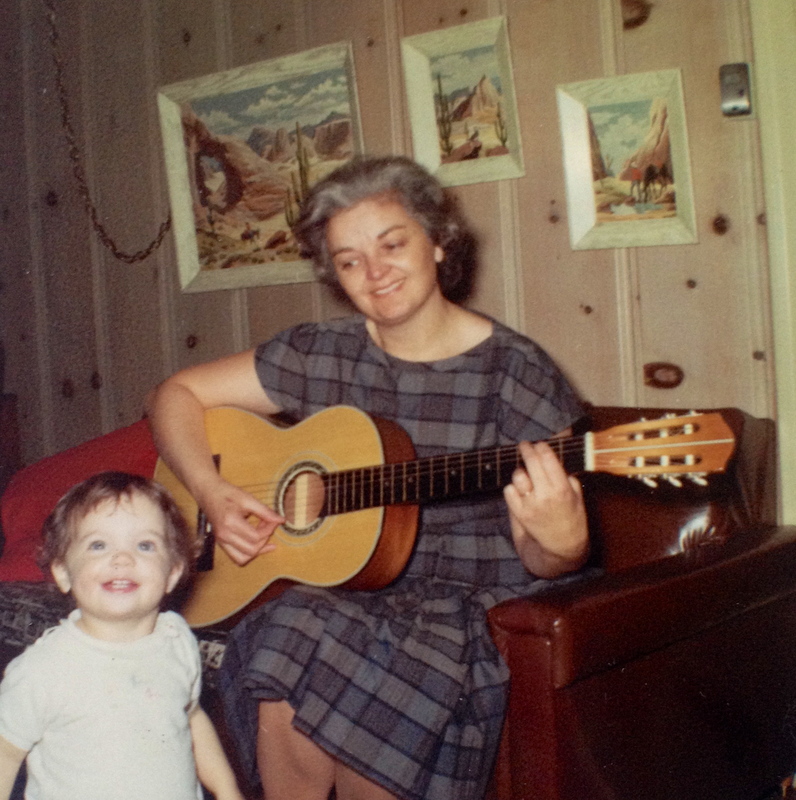 When I brought it out for my mom to hear, in her dementia state, she had me play it over and over, listening intently, amazed that it was she. She sang along, remembering (!) the words, sad that she could no longer hit those high notes. “At the end, it is God that calls us home: I am the life and the light and the Way. The earth is My garden. Each of the souls I plant as seeds germinate and flower in its season, and in each I am fulfilled. There is no cause for grief when a blossom fades, but only rejoicing for the beauty it held and praise that My will is done, and My plan is served. I am one with all creatures and no one is ever lost, but only restored to Me, having never left Me at all. For what is eternal cannot be separated from its source.” ~ The Healing Runes, (1995, by Ralph H. Blum & Susan Loughan, Page 119). In Memoriam: I encourage you to plant some flowers or a tree (as was her mother Helen’s tradition when a child was born, like the tree for me in our front yard); offer a prayer; write your memoirs; share your story; be prepared and make your end of life plans (Bucket List included! ); take time to chat with a neighbor; visit a senior; include a widow; or simply dance!!! And/or share your thoughts with us here in the comments section (I would like that very much). Blessings and many thanks to all who were a part of Betty’s life, and therefore mine. How Great Thou Art is the song I chose with the visual of a burning log in a fireplace; it has since been retracted by YouTube and I haven’t found another to take it’s place…the fire has gone out…time to build another…It’s been a year ago today since my momma passed on 2/13/18). I’m still working on my healing and being born anew. 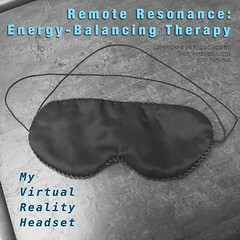 This entry was posted in Holistic Healing Life-Energy and tagged Childhood Memories, death of a parent, Family, heart disease, The Greatest Generation, The Healing Runes by Blum & Loughan, vascular dementia. Bookmark the permalink. She died 3 weeks ago tonite, at roughly 3:00am. Private internment will be in 3 days. I am still in shock. I had been in fearful anticipation of this event ever since my dad died 44 years ago. And now it is here. Lovely, simply lovely and a great tribute! Dearest Robyn…Thank you for your caring feedback, wishes & sympathies. It means a lot. Oh…Freedom Train…I’m waiting for you to take me to great heights! I’m working so hard, to let go! Wishing you the same my sweet fishie. Congrats,Mags, you did a wonderful job. Feel like I’m walking down the years beside you. U should be a Journalist. This was very difficult to write and then read back.i admire you greatly. Thinkingofyouso oftenand hoping Sat. Will bring some closure, together inEternity with your dad and Dennis, whocouldaskfor anything more ? Will talk soon ,dear niece. Your love & thoughts here mean so much to me, Aunt Marion. Thank you for posting here so I can come back & revisit the treasure of your words & insights. You have always been a great support. Still waiting for closure…It’s a MAJOR adjustment. At least we have Eternity to look forward to! Thank you for sharing this beautiful and heartfelt tribute to your Mom, Cousin Maggie! Aunt Betty Begley had the most infectious laugh, creative spirit, zest for life and such a deep faith in God. What an inspiring life story filled with love, heartbreak, faith, and perseverance. I am thankful that your Mom kept a close relationship with our side of the family after Uncle Mike passed away. Without that, we would not have known you all. We extend our condolences to you and your family. May you hold these memories close to your heart and let her light continue to shine. Such a beautiful message. Thank you for solidifying it here. I don’t know what I would’ve done without your special support. Thank you also to dear Craig for getting you safely here & with tunes, & Sweet Colleen & Shannon for sharing their Mom with me, for their prayers as well. And for still remembering me! Maggie – what a wonderful and heartfelt tribute to your mom. You are a gifted writer – so what better gift could you bestow upon her than these memories woven with words. You mother suffered a good deal of loss in her life. But she did more than “put one foot in front of the other.” She was truly ENGAGED in life . 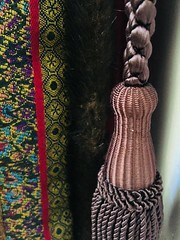 . . with activities, people, travel, projects, spiritual growth. I didn’t realize she was so involved in so many activities throughout her life! Good for her! And I didn’t realize she was involved in such progressive Catholic opportunities (Cursillo, Charismatici Movement, Healing Prayer). It is a BLESSING that each of us are here . . . your mother made the most of the ride! You were, and are, a wonderful daughter. OH! And the photos are AWESOME! I think you look so much like your mom in that Family Portrait! Quite a resemblance. Thank you, Renee, for your response & reflections. I tried returning your mother’s phone call twice but she wasn’t home…please give her my love. I still haven’t recovered from your family’s losses. I’ve continued to be very internal for the time. But congrats, you’re a grandma! Life goes on! …That’s what I regret, no husband, no kids, or grandkids. Feels kind of bleak. Especially being poor in Sonoma County, puts limits on all sorts of things. I welcome the next step whenever & whatever that may be. For now, I’m in re-cov-ery! ps I love the photos too! They were the best part (&what video I could get). Glad you enjoyed! Aw, Mo. Thank you. Yes, I share those same memories, though I am 5 years younger than yourself? I especially liked when you came & spent some overnites at 916 Howard when I was in 8th grade? It was neat for it to be just we three. And when my mom & I came to 1139 Parkington & slept in our camper on your driveway. And my mom would give your dad haircuts, lol. And that your mother shared my parents’ story. What she said of yours was that your mom followed she & her big brother Mike out to CA & lived with my them in their first little apt in Oakland or SF? She met your Irish Dad at a church dance & the rest was history. What adventurers, all four!! I’m glad some of my dad’s siblings followed him out West, or I’d have missed out!! May all our dear ones Rest In Peace. 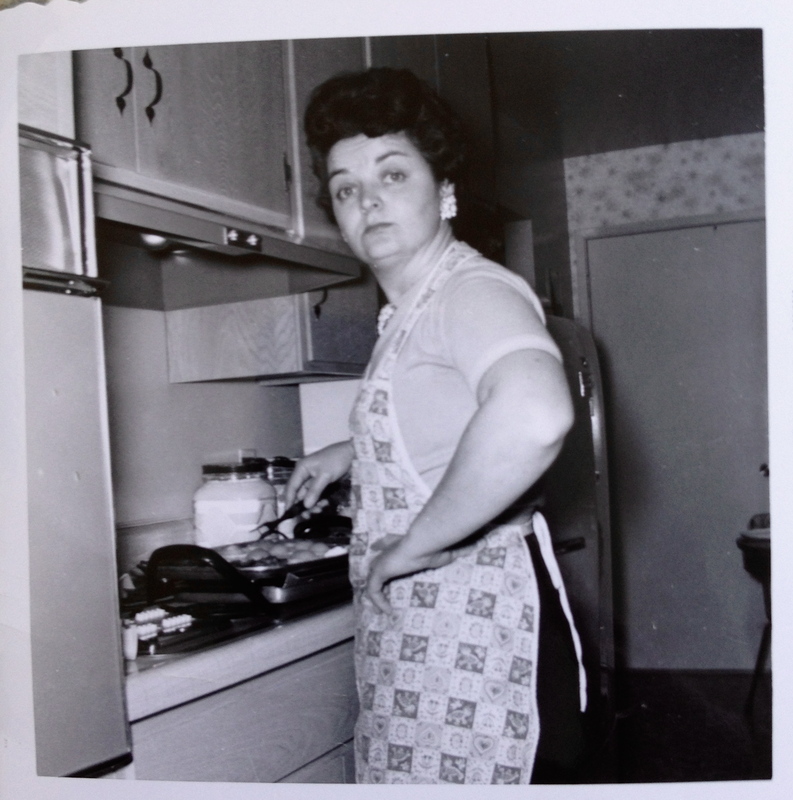 The chronicle of your mom’s life–and Life itself–is so beautifully conveyed. I never met your mom but can feel her love and strength thru your words. Empathy and peace to you, dear Maggie. Dear Scotty, You are so caring, eloquent & heartfelt. Two months & one day after my Mom’s passing. One day after your Friday the 13th Birthday. You were good luck to me & so many others. You were one of the best. Person. Friend. Father figure. A boy who survived the Dust Bowl. A true Southern Gentleman. 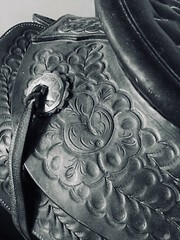 A POW. I am terribly sorrowful. The only thing that gives me comfort is that you are free, from pain. You lived your long life to the fullest, with humor & bravery right to the end. So sorry! Paul was one of the best and he did indeed live life to the fullest. Thoughts and prayers go out to you. Thanks, Kell. He escorted me to my mothers grave & held me up while I said my final goodbye…Only to call his house 2 months later & when I asked for Paul, the stranger on the other end said, “He died an hour ago. And he is being carried out to the morgue.” Not unlike the scenario of my own dad’s death. I wish I were tougher, like he & my mom & so many others. I am not a survival of the fittest kind of specimen…Oy.